Summer travel season just around the corner which means that now is the perfect time to plan your next road trip! And what better way to travel than in the comfort of your own ‘home on wheels’? With longer days and warmer temperatures, summer is a prime time for couples and families alike to take time out. Whether you want to explore your own backyard for a short rental or embark upon a much longer journey, here we impart some sage advice about how to get the most out of your summer holiday. 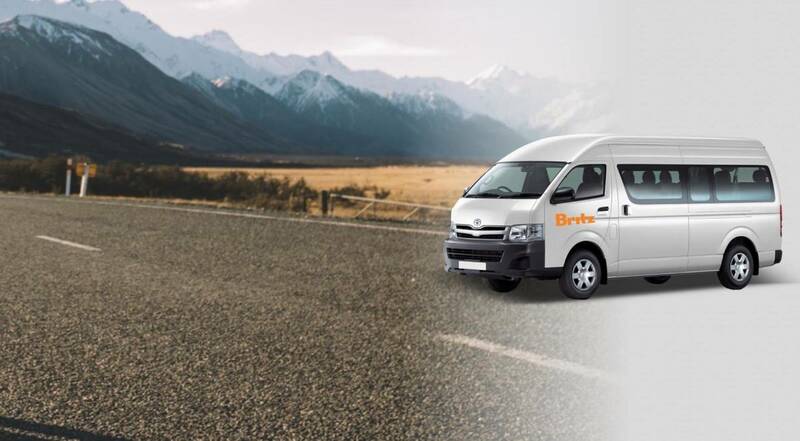 Britz has some great options for touring all year round but in warmer months, in particular, you can't go wrong with one of our "summer fleet" campervans. Always drink plenty of water throughout the day to stay hydrated. 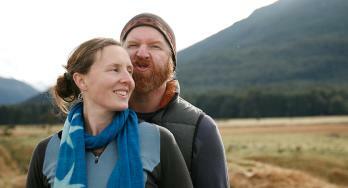 This is especially so if your itinerary includes strenuous outdoor activities such as hiking, biking or kayaking. But even travelling in the heat can literally drain you and leave you dehydrated. Also, pack some electrolytes to help revitalize you throughout the trip. And of course, because the Southern Hemisphere’s ozone layer resembles Swiss cheese at the best of times, always apply sunscreen to your face, arms, neck and any other exposed skin as part of your morning routine, and always pack a wide-brimmed hat. Most people want to explore New Zealand in summer - the weather is ideal, attractions are open and roads that can be inaccessible during winter are open. But it can also be costly, as this is when the demand is highest. Spend some time doing some research before you travel and look into group discounts (particularly if you are a family) on activities. 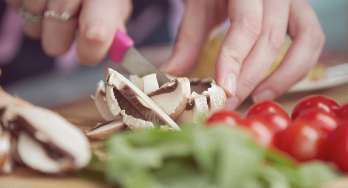 You can save on food costs by avoiding expensive takeaways and by cooking some easy meals each night. Buy snacks on special at supermarkets and get some good deals on your favourite wine before hitting the road. Nothing beats eating fresh, local produce. And summer in New Zealand is the perfect time to do it. 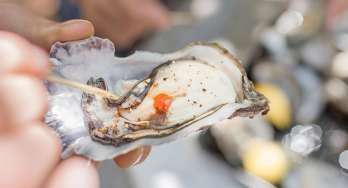 As you drive through the country, you'll see many roadside stalls selling fresh and locally grown fruit and vegetables that have never even seen the inside of a supermarket. Not only is this produce often significantly cheaper than supermarkets but it makes a great opportunistic snack on the go for the kids. Nothing beats a fresh juicy nectarine, an orange (or three) or a bunch of cherries. Produce differs all over New Zealand, from north to south and east to west so you'll be able to put together a bright and tasty fresh fruit platter as you travel your road trip. Summer doesn’t have to be all about the beach. Taking a detour to cooler areas is a smart play, and heading south is an obvious example. The South Island of New Zealand offers some incredible vistas and wildlife encounters with seals and whales. With a return hire from Christchurch, you can head south to Dunedin, New Zealand’s ‘Scotland of the South’. Nearby is the turn-off inland to the Waitaki Valley, a scenic route through to the legendary Mackenzie Country via a series of pretty lakes. 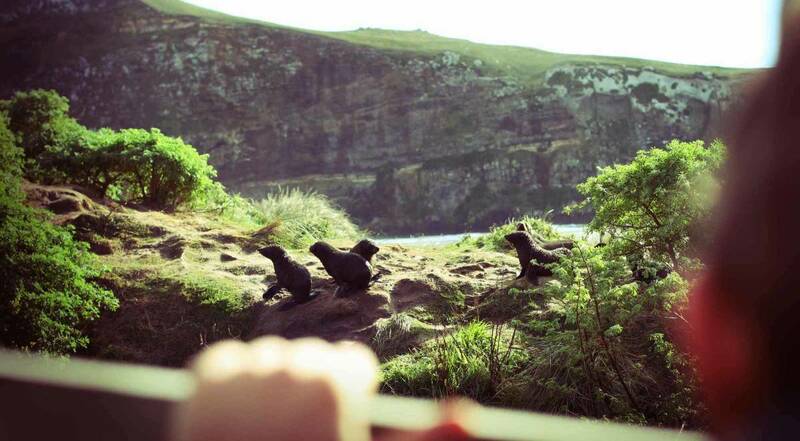 The coastal Southern Scenic Route, through The Catlins to Invercargill begins south of Dunedin and is known as the ‘deep south’ proper, well regarded as one of New Zealand’s great touring routes. 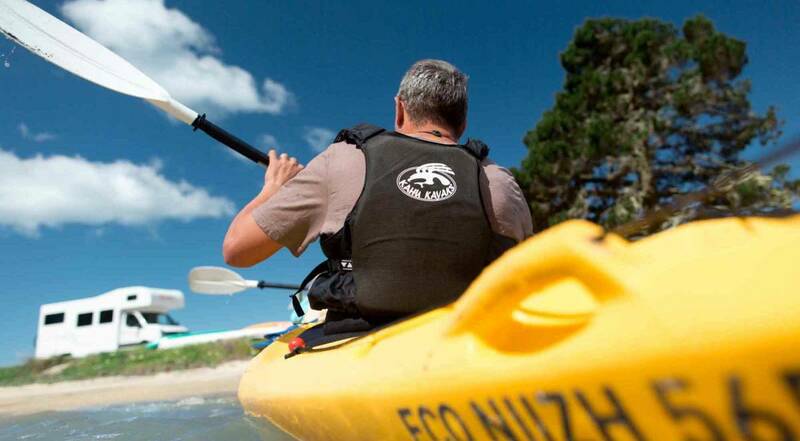 Explore the Southern Lakes & Fiordland, Coastal Otago and Southland for a great southern summer adventure. 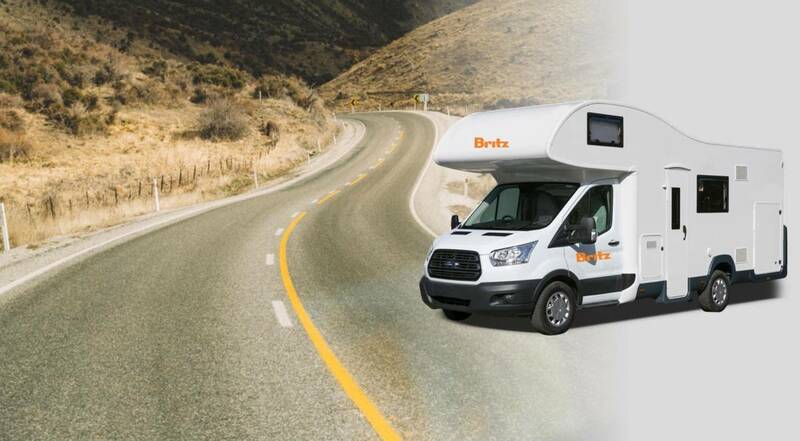 There are three vehicles in the Britz Summer Fleet, each designed for a different style of adventure travel for two to six people. They are available exclusively from October to April. 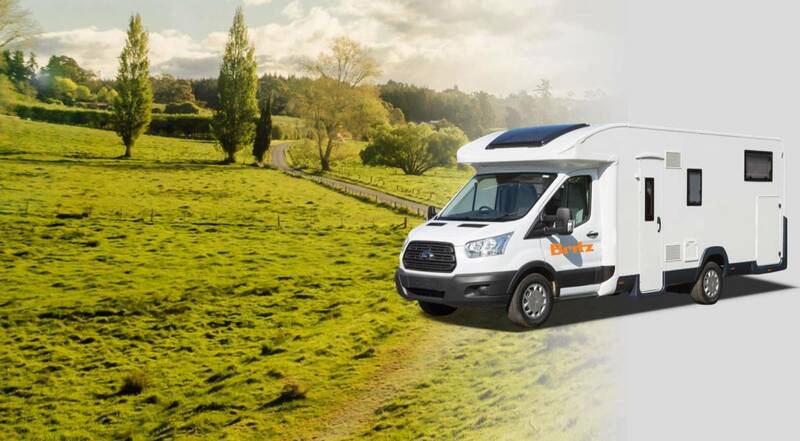 Packing all the essential campervan features into a compact and easy to drive (and park) package, it's no wonder why the Action Pod is a firm favourite with couples and those more budget conscious travelers. See more on the Action Pod. 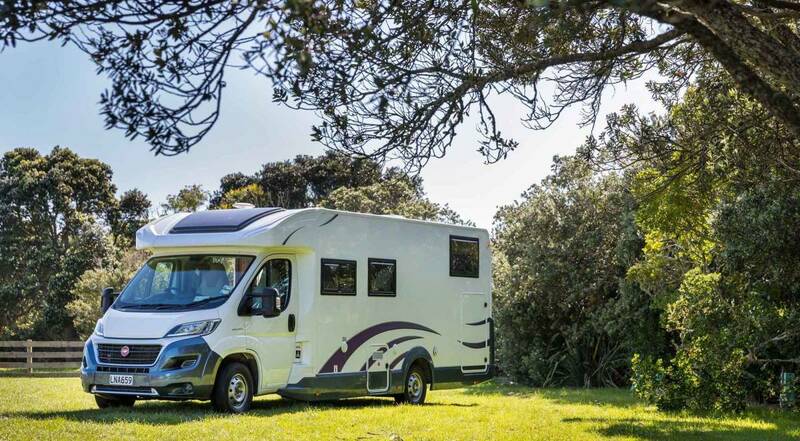 Need a little more space, or travelling with a group of more than two? The Cruiser is the perfect campervan for you. Sleeping four, it's the perfect vehicle to escape in whether you're taking friends, adult family or even the kids. See more on the Cruiser. The biggest offering from Britz, the spacious Encounter will sleep 6. 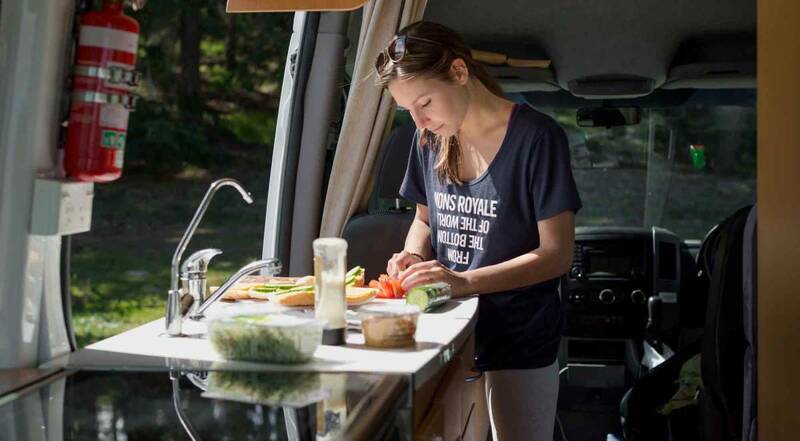 With a kitchen, 3 beds, and plenty of day seating it's the perfect campervan to take out if you're travelling with a group of friends or travelling with the family. See more on the Encounter.